The Daintree National Forest is a World Heritage listed site as part of the Wet Tropics World Heritage Area confirmed by the World Heritage Convention. It is believed to be the world's oldest rainforest at 180 million years of age and is touted as one of the most fascinating and diverse eco-systems on Earth. When I planned our trip to Port Douglas I knew that a visit to the Daintree was essential. Given we only had a day to spare I had to plan as much as possible into just a few hours. 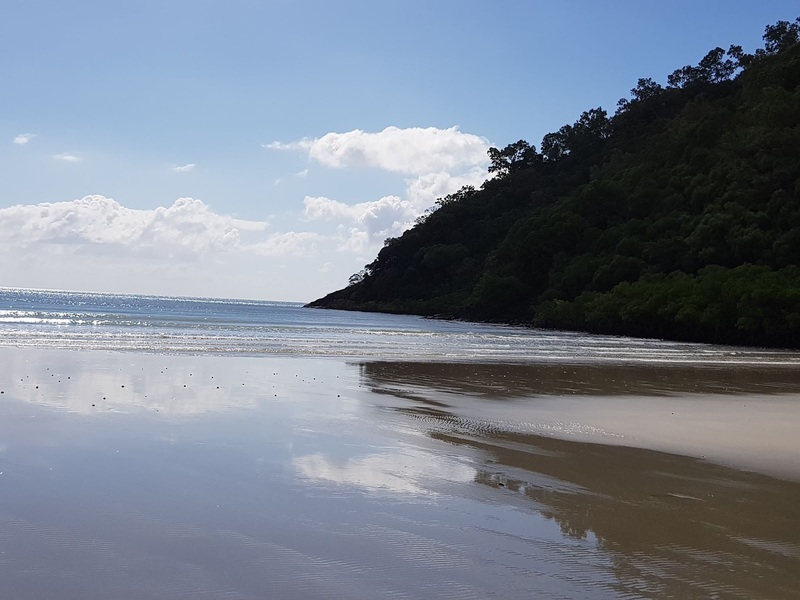 Our focus was on Cape Tribulation. To get to Cape Tribulation from Port Douglas you head north on Mossman Daintree Road and turn right onto Cape Tribulation Road. 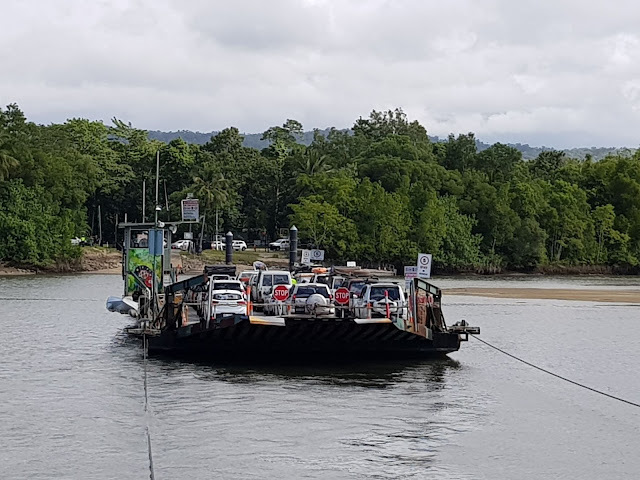 While the entry to Daintree National Park is only around 50km away, you need to allow at least 1.5 hours as the roads are small, windy and you'll be crossing the Daintree River via the Daintree ferry. The ferry costs around $28 return. 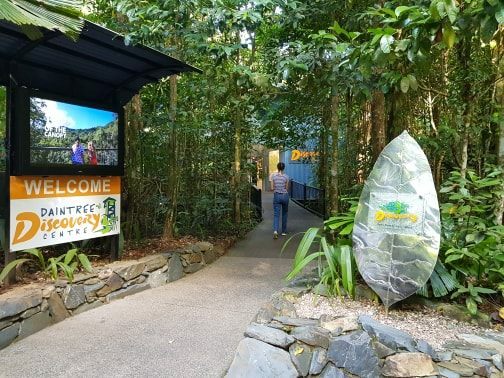 A self-guided tour care of the Daintree Discovery Centre is a must. 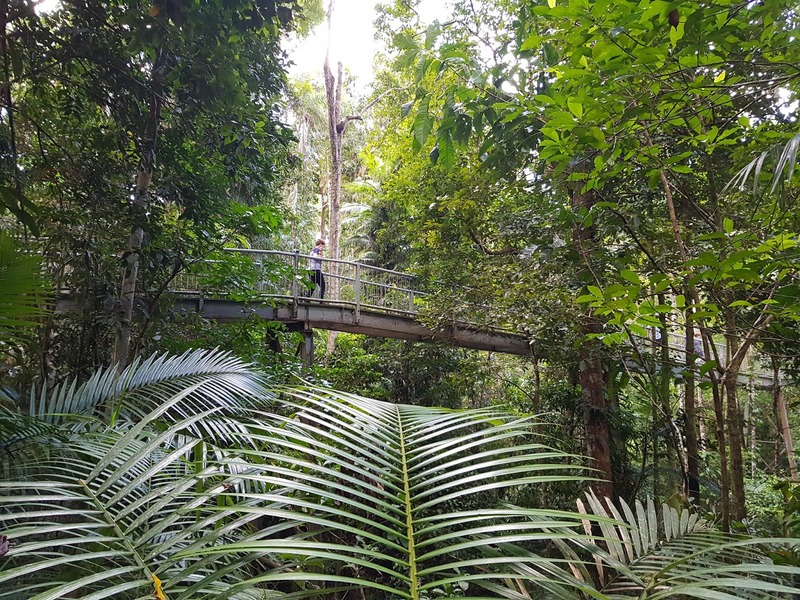 Walk the aerial walkway, climb the canopy tower, check out the cassowary circuit, the bush tucker trail and step back in time to the Jurassic period via the dinosaur tour. Self managed audio devices mean you can take the rainforest at your own pace. 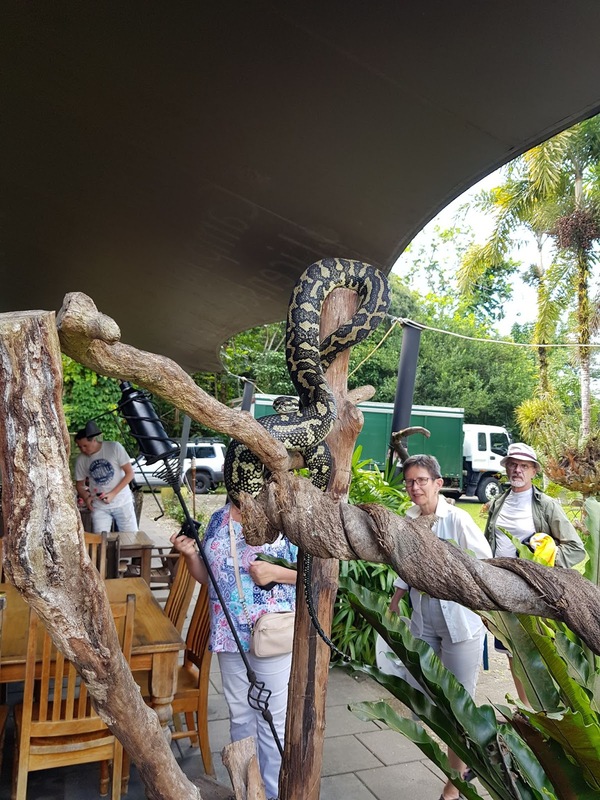 You'll also have access to the interpretive centre, reptile displays, native fish aquarium, indigenous culture and a coffee shop. 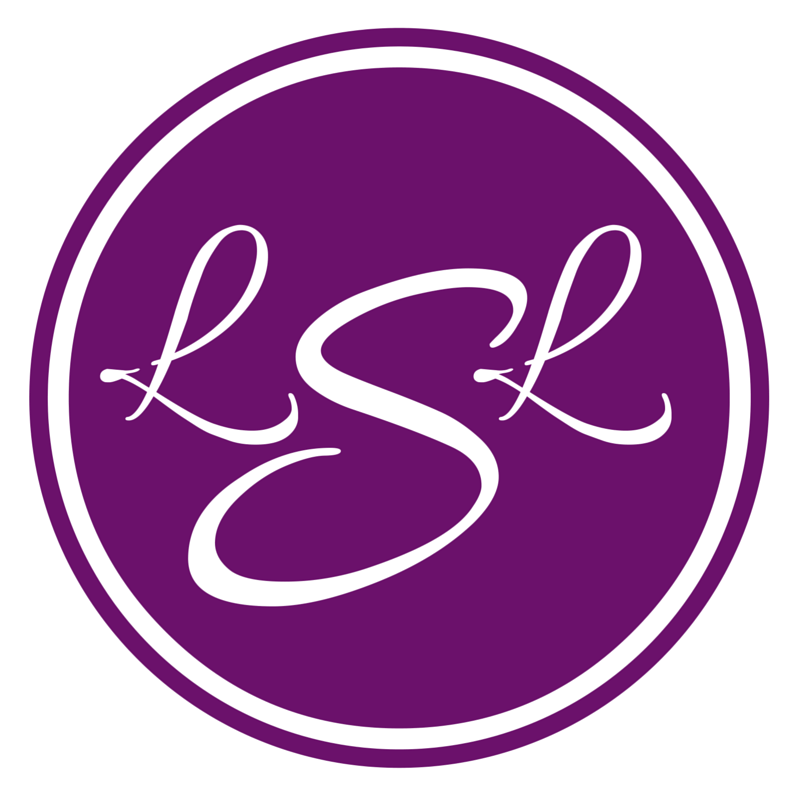 For visitor information including tours and costs, click here. As you drive the winding roads, climb the mountain and hit the shoreline, be sure to stop and take in the views. From rivers to forest to ocean - the Daintree has it all. Make sure to be Crocwise! Just because you can't see a croc, it does not mean there isn't one near you. You are responsible for your own safety in crocodile country so note the warning signs and be careful near ALL north Queensland waterways. Stand well back from the water's edge. The above river photos were taken from a bridge in the safety of my car. The little village of Cape Tribulation has access to all your adventure tours including trips to the Barrier Reef, safaris, rainforest tours, fruit tasting, river cruises, beaches and lookouts. You can grab a bite to eat and replenish your water supplies. 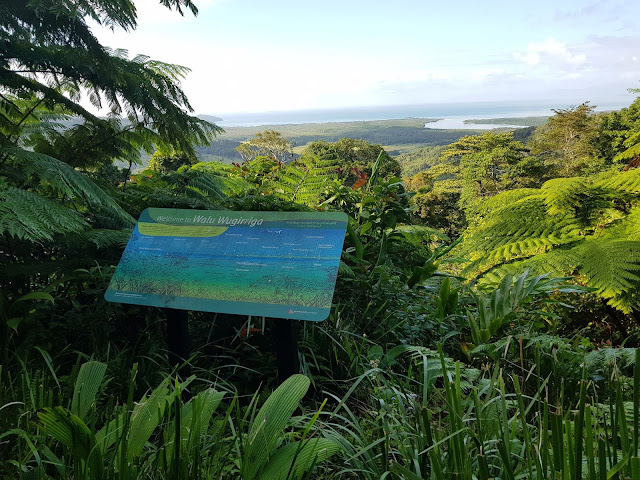 Cape Tribulation is one of the closest land points to the Great Barrier Reef, with the reef visible on the horizon from some vantage points. 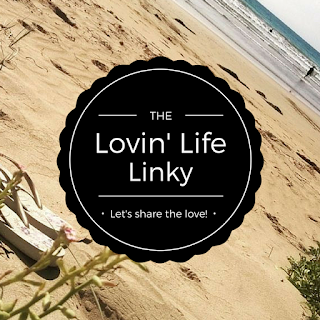 Heading to the beach for views of the Coral Sea is a must. Note: This is not a beach for swimming in. If the crocs don't get you, the stingers will. While you can buy stinger suits to protect you from the jelly fish and Crocs are most likely found at river mouths, I would suggest saving your swimming for the safety of your hotel pool. 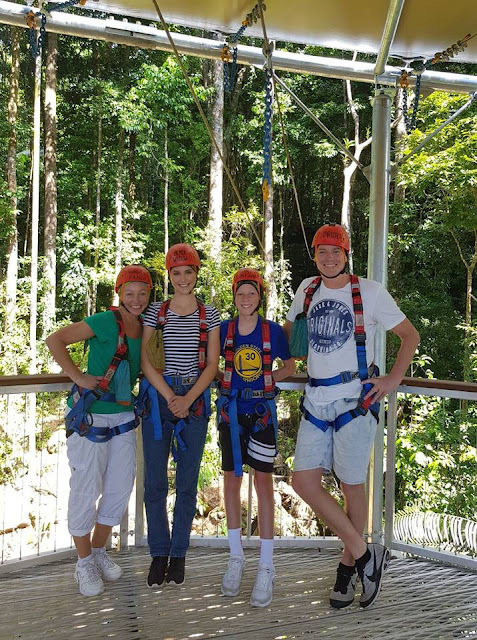 Fly through the trees on a zipline for a truly unique view of the Daintree. Nestled in a private rainforest reserve, the Adventure Jungle Surfing tour was the first thing I booked when I knew we were headed for Port Douglas. It consists of five eco-friendly platforms and six flying fox platforms ranging from 7 to 16 metres above the ground. 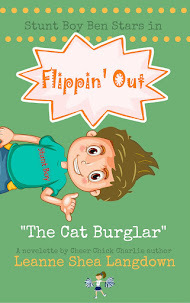 Go fast or slow, right-side-up or upside-down, it's totally up to you. The tour guides not only make you feel safe, but they educate you on the Daintree, Cape Trib and the local surrounds, with great tips and tricks on how to get the best out of your Daintree Forest experience. 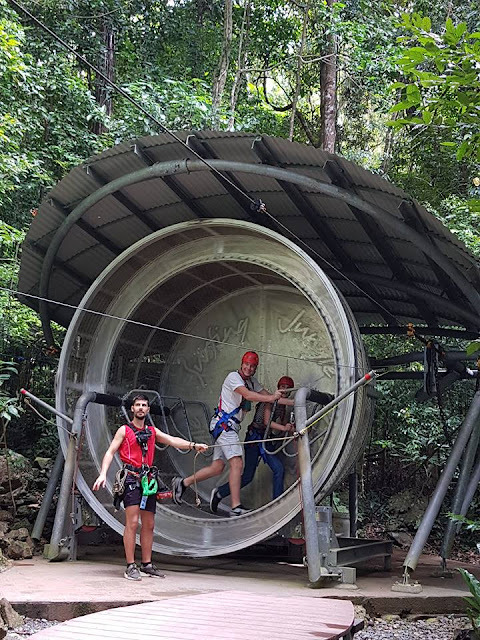 From ages 3 to 103, anyone can fly with Adventure Jungle Surfing. 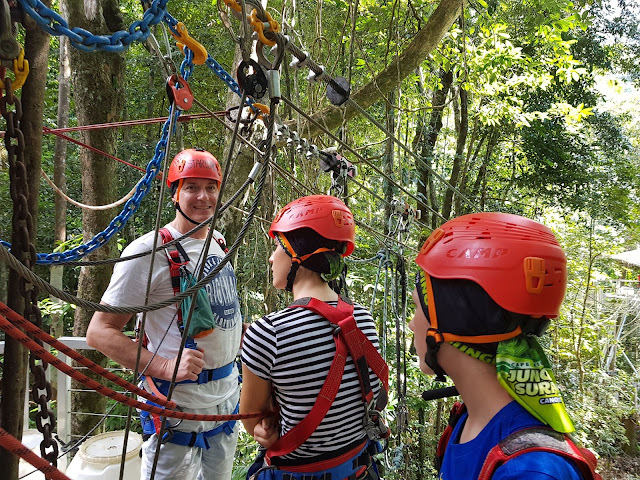 For every person who rides the zipline a tree is planted in the forest to ensure continued growth. For more information including costs click here. 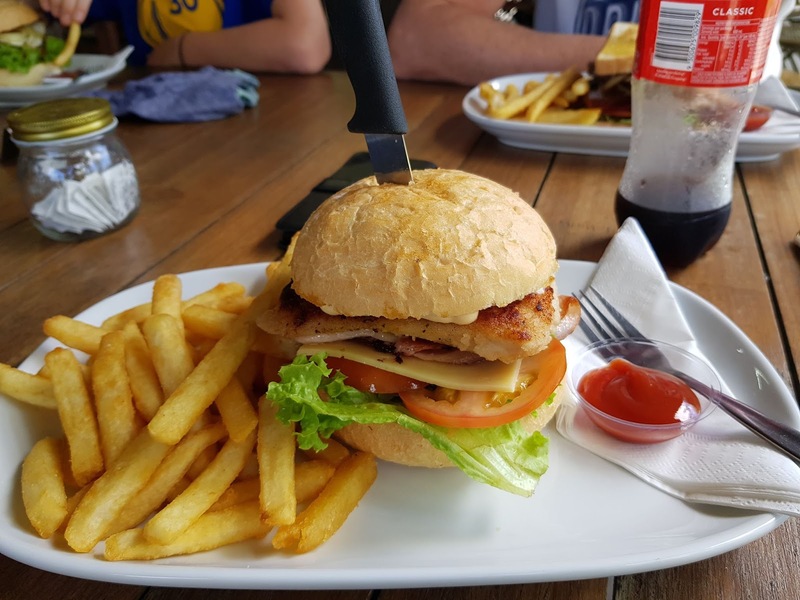 Take some time out to eat and have a cuppa at this great little tourist spot. 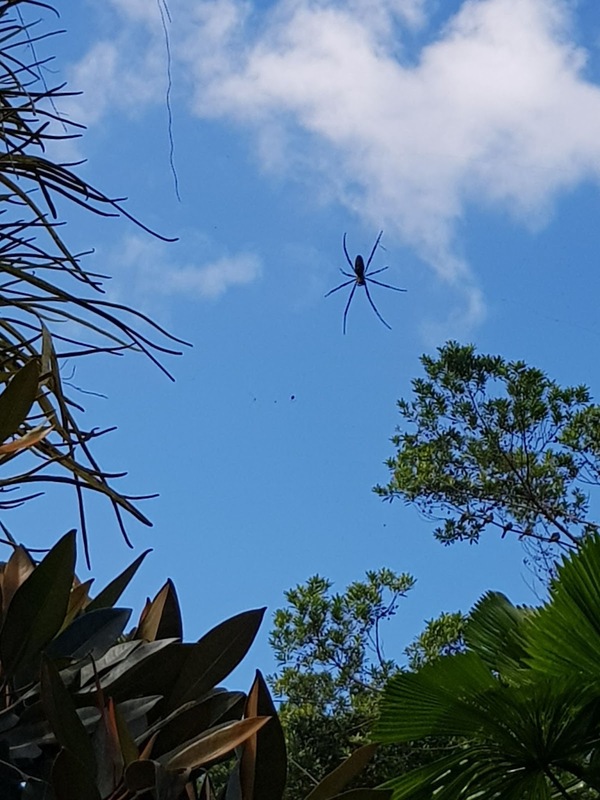 Their resident pythons, bird life, friendly orb spiders (as big as your face) and a few roos will keep you entertained while you refuel your body. 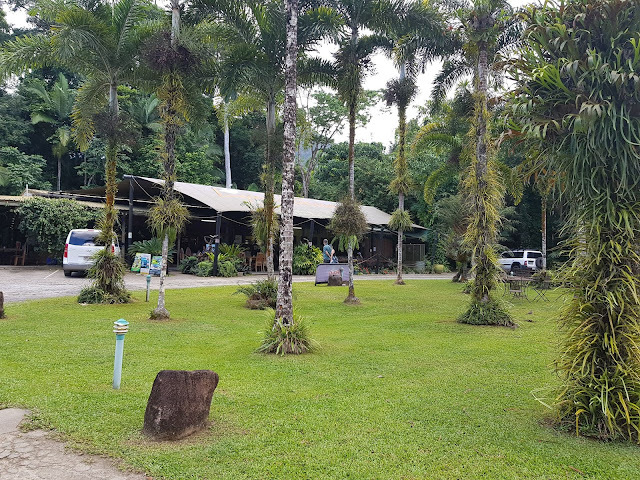 Located between the Daintree Discovery Centre and Adventure Jungle Surfing it's the perfect spot to stop, revive and survive. 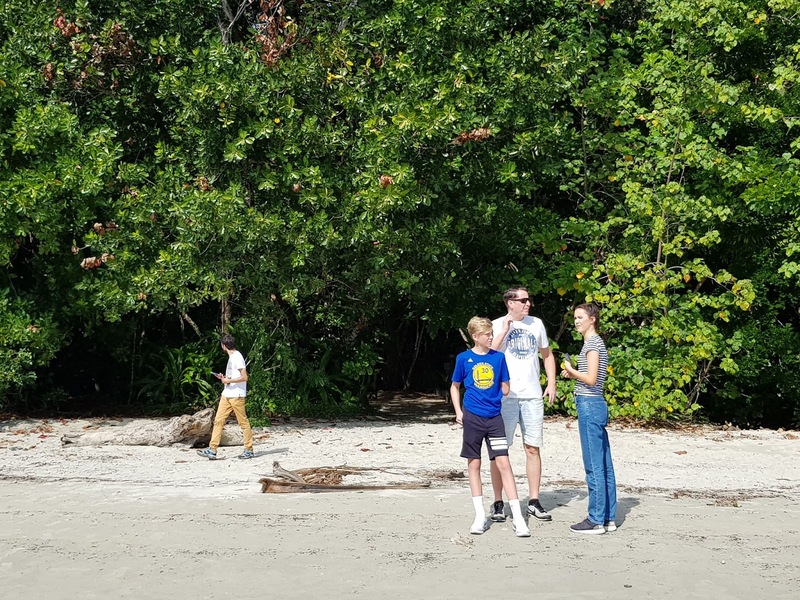 And that was our day in the Daintree! If you're in the area, be sure to stop into the Daintree National Forest. It truly is a magical part of the world. Tips: Wear comfortable shoes, long shorts, bug spray, a hat and sunscreen. Leave early to fit in as much as possible. The ferry is open from 6am to midnight and it's best to avoid peak hour times of 11am to 12.30pm. 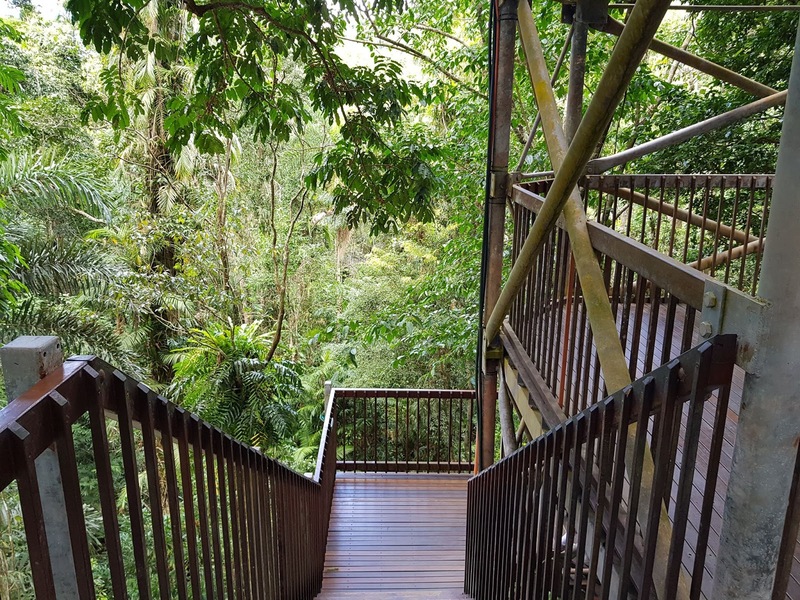 Have you been to the Daintree? What other forests around the world can you recommend? Any extra tips on how to be Croc Wise? It's so gorgeous up there. Have fun! 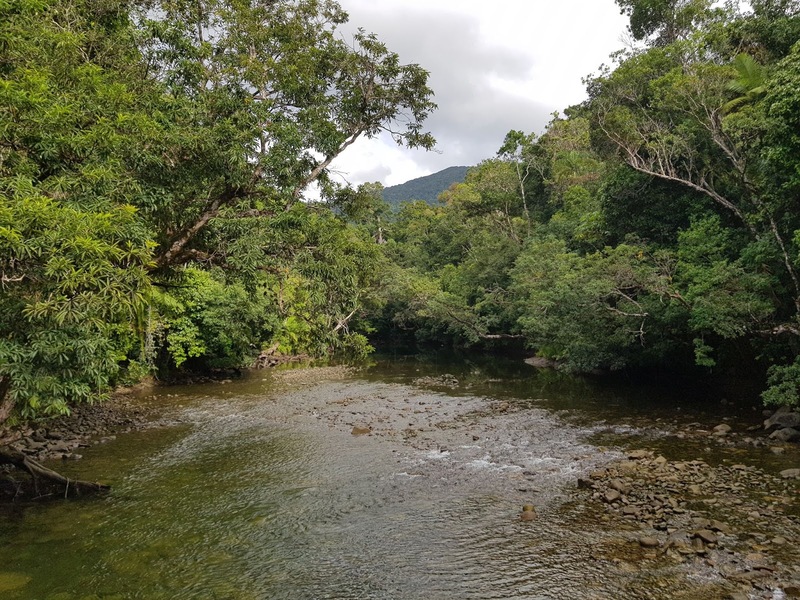 The Daintree looks beautiful. It reminds me of (and I'd recommend) Costa Rica. Oooh, I'd love to go to Costa Rica. 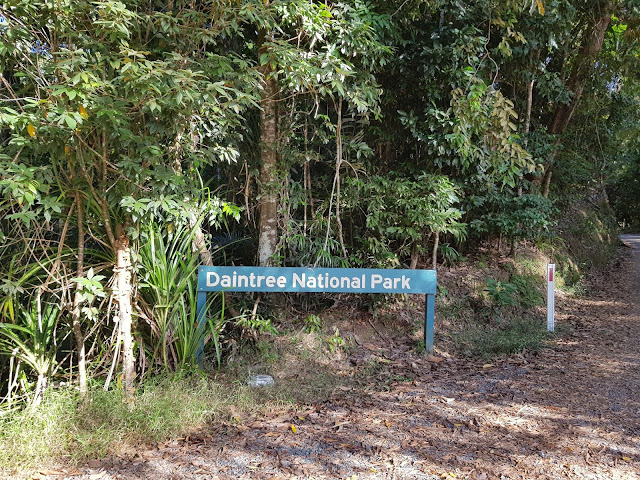 I visited the Daintree area over 20 years ago. I'd love to go back for another visit with my family now. It looks gorgeous. 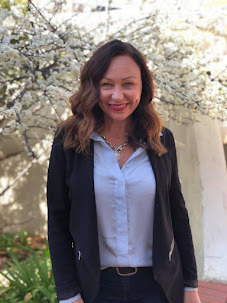 I've been enjoying your pics on instagram. Enjoy the rest of your trip. We'll be in your neck of the woods next week actually - a road trip to visit family. Such a long time since I have been up there! You photos make me want to go back! It was my first time. So happy to tick it off my list of "must sees". What a fabulous way to enjoy the area!! As a biology lover, this would definitely be fun for me!! You'd love the Daintree Discovery Centre then. So interesting. 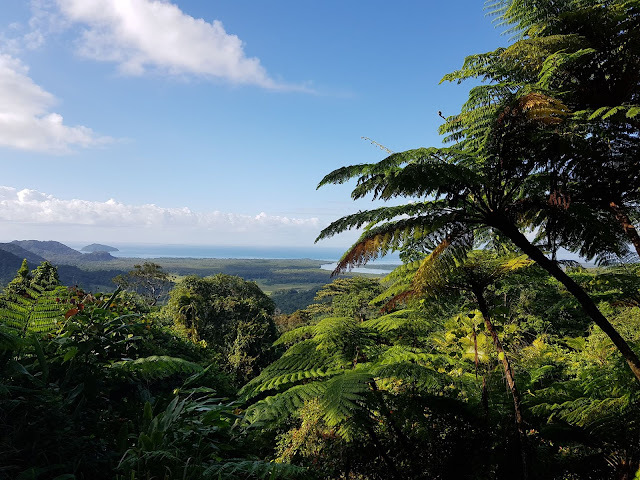 I've always wanted to go to the Daintree, but it is such along way from Western Australia. It looks wonderful. 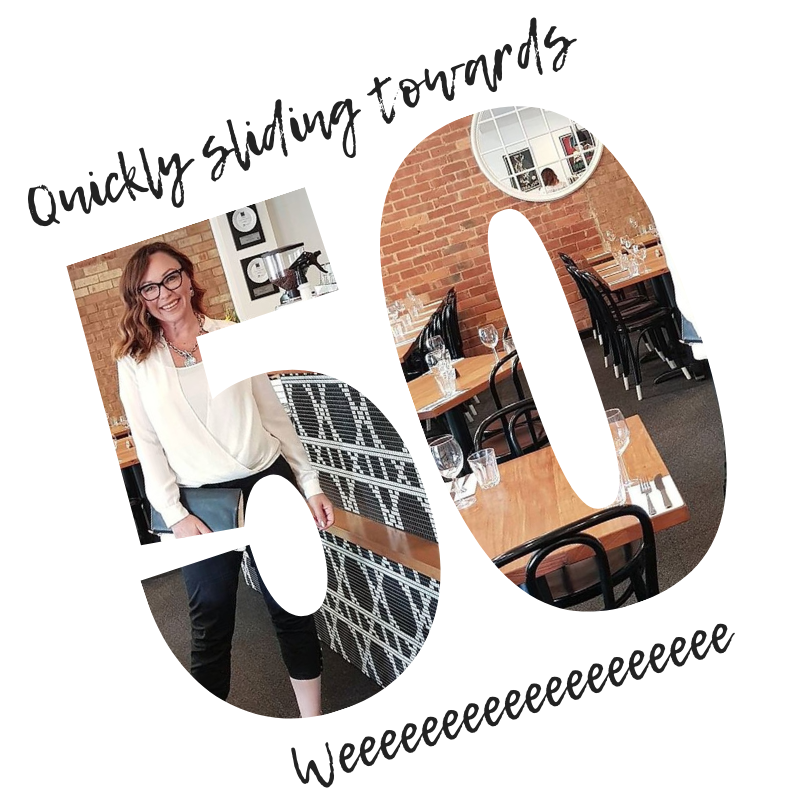 Hopefully one day I will get there! Happy travels. I've always wanted to do WA! But it's such a long way from ... well ... everywhere! LOL. I will get there though. It's working its way up the list. It would be interesting to know if it's changed much. So gorgeous and so many exciting things to do. Adding to my bucket list. 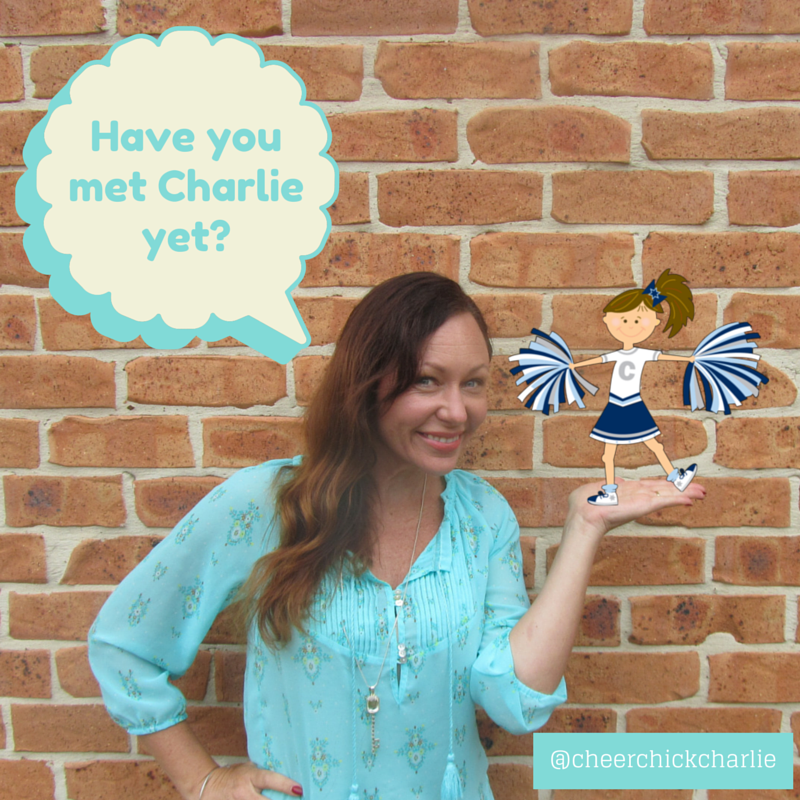 Would be a great trip for you and little SSG. There was a 6 year old on the flying fox trip with us. He loved it! I didn't feel like I was up high at all. Not a bit. Was actually really easy. 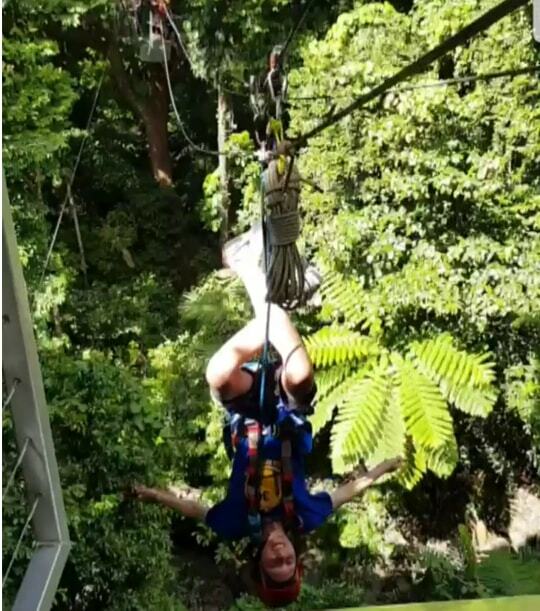 How amazing does the rope climbing look!!! I love all the beautiful pictures you have share doc the forest & your gorgeous family. 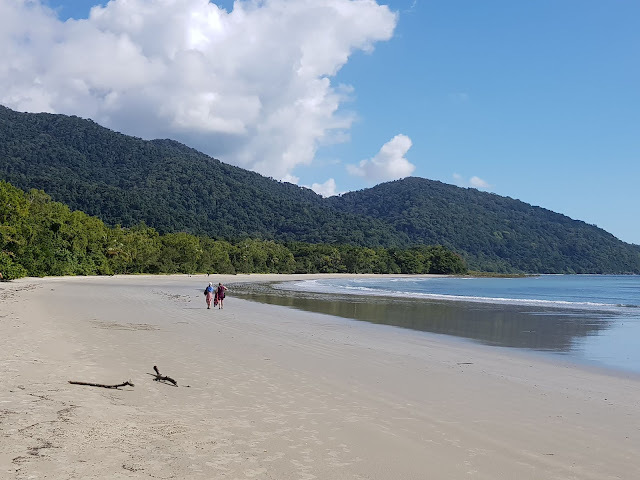 I love that part of the world and was lucky to stay a week or so at Cape Tribulation some years ago when the Coconut Beach Rainforest Resort was functioning. It was heavenly. 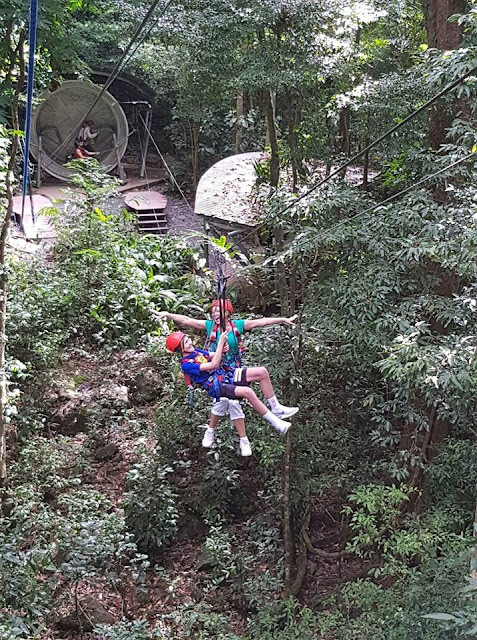 Love your ziplining photos, that looks like so much fun. 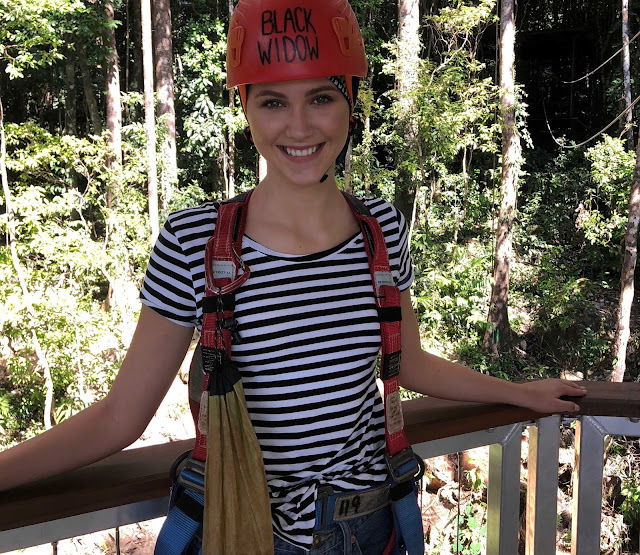 One of the ziplining tour guides now lives in the Coconut Beach Resort (now that it's not a resort anymore). I remember that lookout and sign well. 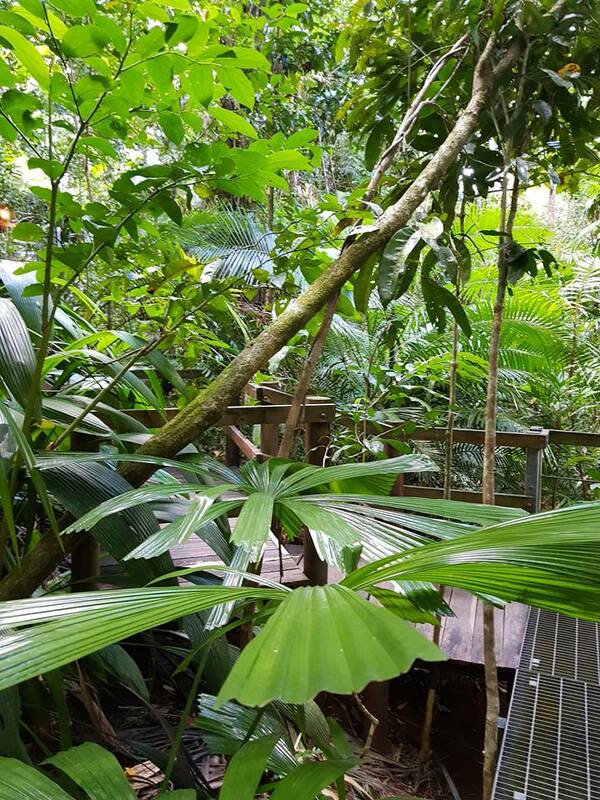 The Daintree is a remarkable area with so much to see. I love that the rainforest comes right down to meet the sea. It looks like you had a fab time. We'd be up above the sea one moment then suddenly it would be right beside us again. It was crazy! 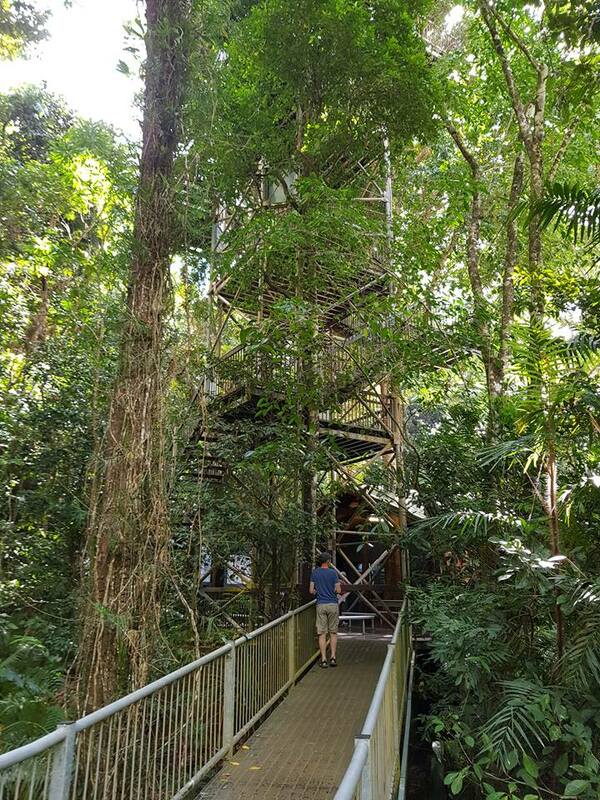 I last went on a tour of the Daintree in 2003 and I remember so much of it. I got to have lunch (cooked by the crew) near an inlet of water and swam there safely. Amazing experience. I also got to stand on Cape Tribulation Beach. I did, however, scurry back to the bus when I came upon a goanna. Sigh. Loved this and seeing you all in that photo with the rig on needs a frame to remember "this special time". Apparently it was safe to swim up there until about 5 years ago. The crocs have ventured down from up higher according to one of our guides. Not safe anymore. 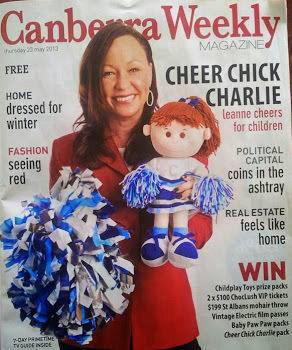 Hi Leanne, I saw some of your photos on Instagram before I saw your post. Magical times for you all in a magical part of the world. I visited the Daintree back in 1993 and that is a lifetime ago. Thanks for sharing and enjoy! I'd love to find out how much it has changed in that time. It seems so simple up there that perhaps it hasn't changed at all. You've been having a great time! 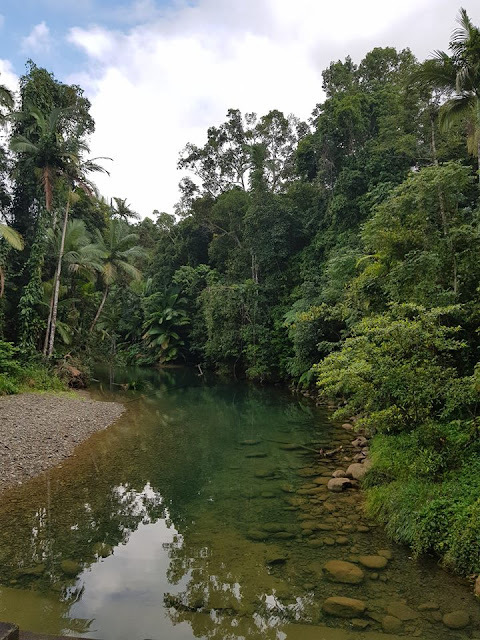 I went to the Daintree (and Cape Trib) twice in the early 1990s and enjoyed myself both times. We went on a croc boat tour thingy though and saw none!!! 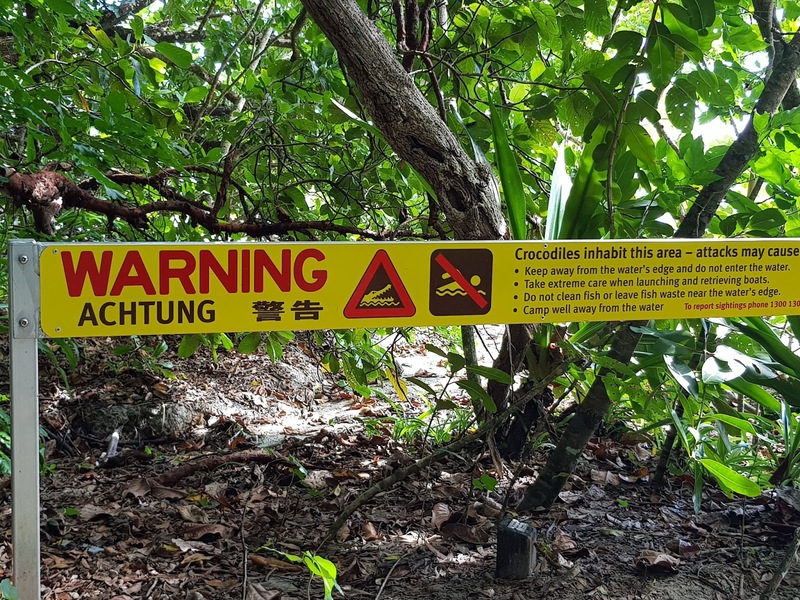 We went on a croc boat tour in Port Douglas and all we saw was a few sets of eyes. No bodies. Just eyes above the water - the guide had to point them out to us. I would never have seen them otherwise. Freaky! Looks like an interesting place and your pictures are beautiful. But spiders and crocs make me feel nervous. Spiders don't worry me - but I was very nervous about the crocs.